LAOLA was born in 2012 in Galicia north of Spain. Since then we have been growing with the same philosophy, have fun whatever you do ! 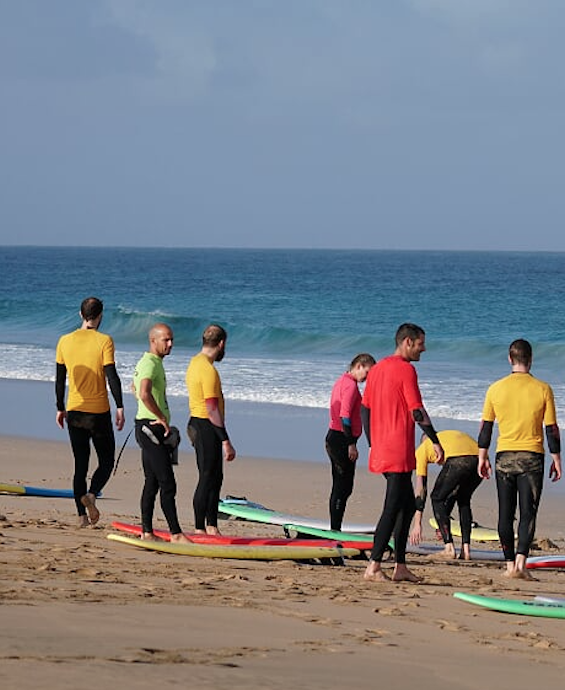 At the beginning we were only a Surf School and surfcamp but since we came in Fuerteventura in 2012 we start providing Stand-up Paddle lessons and later Kitesurfing lessons. Both our Surf House and our Yoga Villa offer Yoga lessons and massages for our guests. 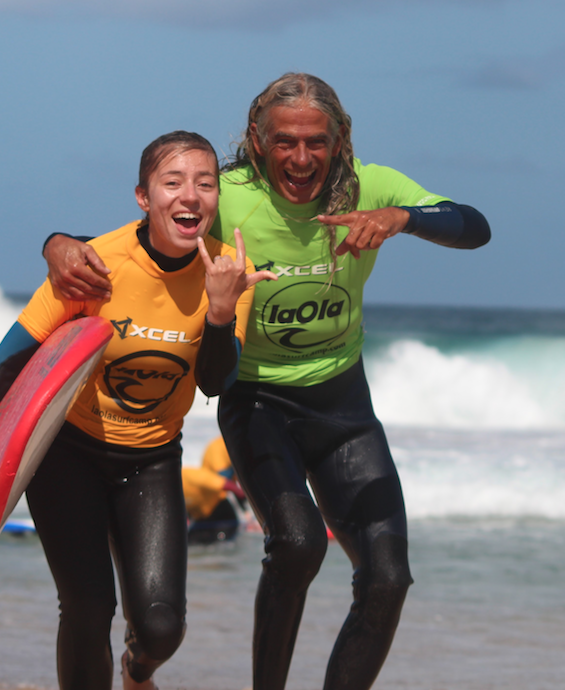 All our activities are adapted to your level, no need to be an expert to come to Laola Surfcamp. Our Kitesruf week is specially design for thoses who want to improve their kitesurfing technique or to discover kitesurfing for their very first time. Groups according to you level. 4 people max per group. 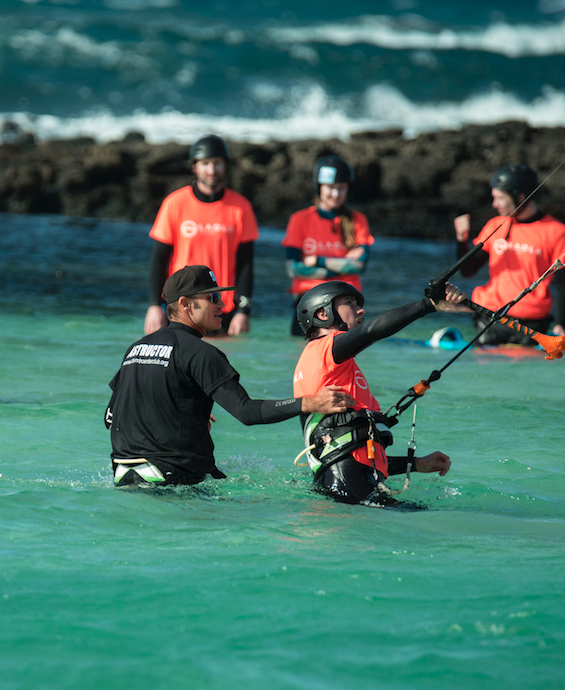 All our kitesurf lessons are adapted to your level, our groups are of 4 people maximum and of 3 mains categories, beginners, intermediates and advanced. 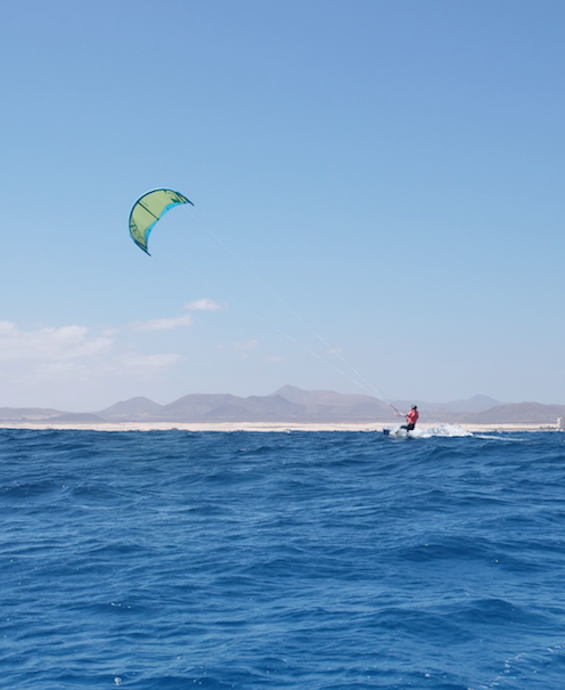 The length of our kitesurf lessons are about 4 hours transport included. We offer for both Kitesurfer and Surfers, the possibility to stay in our villas. In our surfcamp you will live 100% the surf life chill atmosphere, local food, new surf mates and a lot of fun ! All the rooms are for a maximum of 2 people with a possibility to have a private room with an additional cost. Spacious room, BBQ, Beer fridge, free kitchen, pool, Carver Skate, Yoga mats, free towel and cleaning every day and of course our cat Kuka. Our Zen villa is composed by five bedrooms with ensuite bathrooms and a private terrasse. The rooms are 24 m2, and are equipped with flat TV screen. Swimmingpool eated at 28 degres. BBQ, Beer fridge, free kitchen, pool, Yoga mats, free towel and eated swimming pool at 28 degree ! Como siempre un trato formidable tanto en el agua como fuera de ella. Esperando tener unos dias para volver!!! LAOLA surfcamp was founded in 2012 in Galicia. 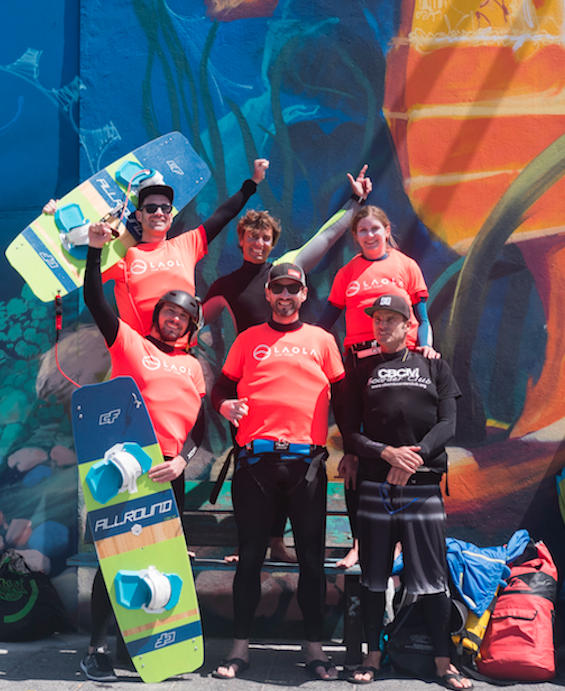 Our goal since day one was to create a place where people can enjoy the ocean and the activities that you can practice in it, in a fun and safe environment.